So, since going keto a few months ago I have been dying to have salmon patties. Seriously, my Southern roots show everytime I mention my love of any kind of canned seafood in hockey puck form. It’s just something we Southerners LOVE. Once the craving got too much for me to handle I set out to whip up these Low Carb Keto Salmon Croquettes with Creamy Remoulade Sauce. And they turned out pretty dang good, but there are a couple of tricks to making them. What to “bread” your Low Carb Keto Salmon Croquettes with Creamy Remoulade Sauce in is a little easier to wrap your head around. I came across some pecan meal at my local grocery store and I have taken to using it as a breading more than almond flour (although that works too) because it tends to not burn as quickly as almond flour does in grease. It will still burn and if you are going to make more than one batch of these salmon patties then I recommend that you dump your oil and wipe out your skillet in between batches. Otherwise, the nut flour in the grease will make anything you cook in it taste nasty. 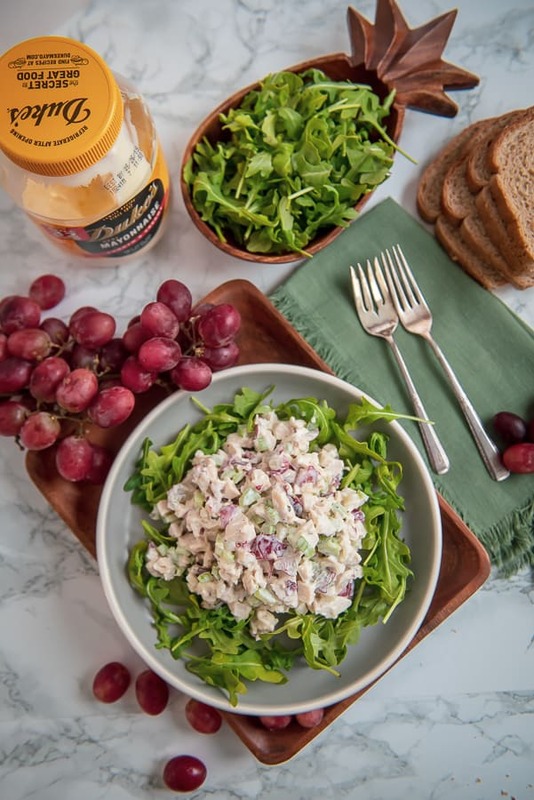 Remoulade is a traditional creamy sauce that fits right into a keto lifestyle and goes GREAT with any kind of seafood. It’s a mayo based sauce that is a cinch to pull together. I love it on any kind of canned fish dish since it masks any lingering “fishyness” that might be hanging around. You don’t have to whiz this sauce up. You could just finely mince all of the ingredients and leave it kind of chunky. BUT Blaine bought me this super handy tiny Ninja food processor that lives on my countertop now that makes quick work of this sauce and it’s super easy to clean. I use it to pulverize pork rinds all of the time too! Low Carb Keto Salmon Patties will work with canned or fresh salmon. If you have ever found yourself in need of a leftover salmon recipe then this is it! I made the ones you see here with pouched salmon, but I have done this recipe with fresh in the past and it works well. You might have to add a few more pork rinds if your salmon is a little too wet, but that’s usually about it. If you are in need of other Low Carb/Keto recipes then check out our Keto page! If you would like more info on starting a Keto Diet then I highly recommend the Fat Fueled program over at HealthfulPursuits.com. Leanne does a great job getting really in depth about keto and especially how to eat keto as a woman. I started keto after reading her book and loving her approach to a low-carb lifestyle. I just love her. If you are looking for more Salmon recipes, then check out these yummy recipes! In a large bowl, combine all of the ingredients for the salmon patties except the pecan meal and the coconut oil. Mix together well and shape into 10 patties about 2 inches wide and one inch thick. Pour the pecan meal to a wide dish and “bread” each salmon patty on both sides. Set aside on wax paper lined dish and continue with the rest. In a small food processor, puree all of the ingredients for the remolaude sauce. Taste for seasoning and then set aside. Heat the coconut oil over medium heat until melted. Add the patties in, making sure not to crowd the pan (I can fit 5 patties at a time in mine). Brown on each side for 3-4 minutes or until the pecan crust is nice and browned. Remove to a paper towel to drain and repeat with the remaining patties. Serve immediately with a side of remolaude sauce and lemon slices. Pin this recipe to your recipes board!! Make the sauce. Even if you don’t make the salmon patties….make the sauce! So good! Thank you Hannah! I love this remoulade sauce. I put it on any kind of seafood. It’s delish! Thanks for your review!